Manufactured in Allemagne from 1954 until 0. 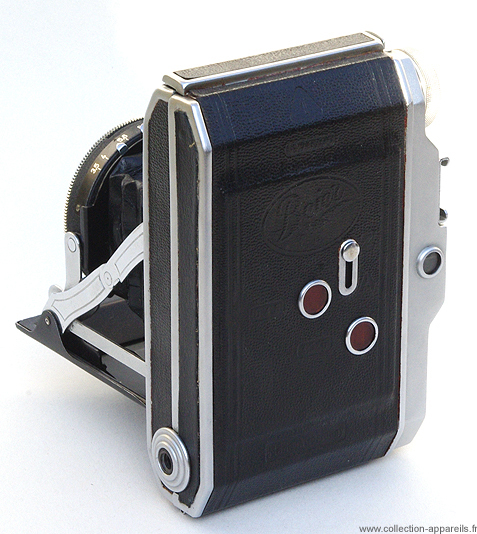 This camera beautifully would not be incongruous with a Zeiss-Ikon marking. This is far from the bad Beier productions (then East Germany) during 1960/70. 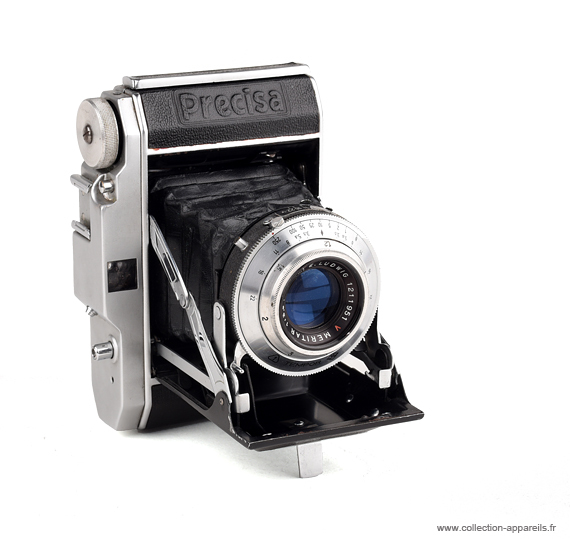 Moreover, the model Precisa existed before the war. Its evolution may have been put to sleep by the world war and its technical specifications may be prior to the separation of the two Germanys. Exceptionally, I found it with its internal cache for 4.5 x 6 in place. A small slider on the hood, next to the viewfinder is used to set up or retract two masks which reduce the size of the viewfinder. A metal component covers both inactinic windows on the back. 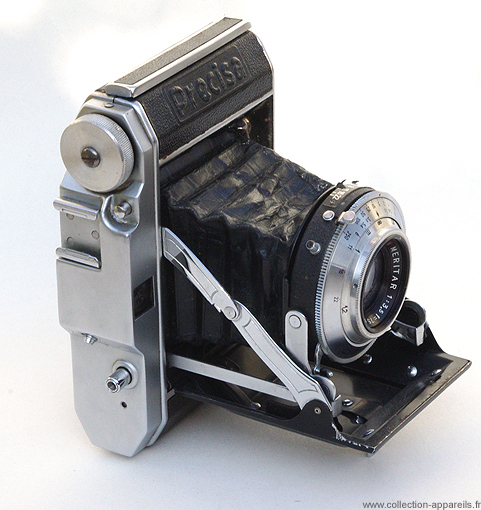 A peculiarity: a small button is located in front of the rest position of the shutter cocking lever. When operated, a stop is retracted leaving the lever to follow its course up to the end and we get ... a self timer that lasts 6-7 seconds.